Today's post is a little bit different, but since my hair color has changed pretty drastically over the past year, I thought I would put together a post with some tips for going blonde and/or maintaining healthy blonde hair! I am by no means a hair expert and did not go to cosmetology school, but I've learned a little bit through trial and error and also asking my hair stylist tons and tons of questions (she is great to explain what she's doing)! On the left is my hair last summer, and on the right is my current color (here is what my hair looked like two years ago)! I think it's safe to say my hair [and photography] has gone through quite a few changes over the past couple of years haha. This is probably the most important tip, because going blonde is very damaging. To go blonder, you essentially bleach your hair, so just imagine how drying that is. When I see girls go from dark brown to bright blonde in 1-2 visits my hair cries a little. I'm sure some hair can handle that and bounce back quickly, but my fine hair definitely cannot. My hair stylist made me take the transition really slowly, and even though I was anxious/impatient to be blonde, I'm now so grateful that we took our time. My hair has remained healthy throughout the process, and never looked like it was going to snap off. Every other time I visit the salon I add on a deep conditioning treatment. It does add to your expense, but in my opinion it's worth it. It will help seal your ends and also protect your color. 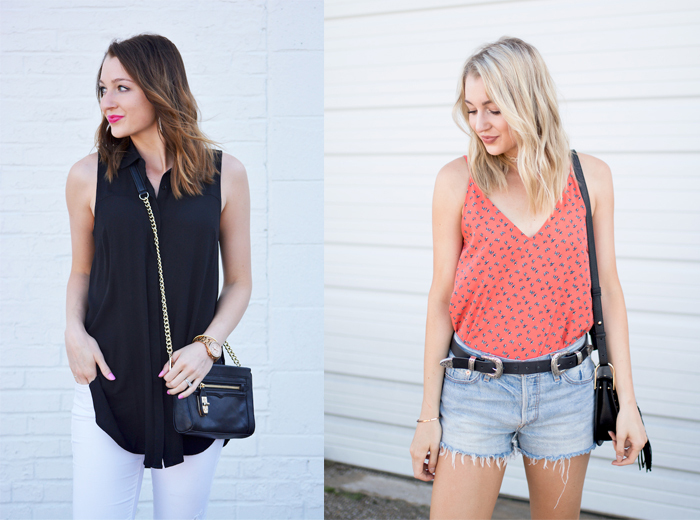 This is something you'll really have to work on with your stylist to figure out, but in my opinion it's so important! Before my blonde was as light as it is and before I discovered purple shampoo (more on that below! ), my blonde was a little bit warmer (my hair tends to color very warm). My root is color is a very cool ash blonde, so there was definitely some weird clashing as my roots grew in. Now, my hair stylist and I have figured out that a light, cool blonde looks great with my ashy roots, so now I can go longer between appointments and my re-growth doesn't look awkward at all. She's even pulled some of my root color down through my hair to add contrast to my blonde. I'm not very good about this because I'm not great at hair styles and honestly feel like my hair looks by far its best when it's down and wavy...but it's something I'm trying to do at least twice per week. If I didn't work in an office I would try to do it more, but sadly I do need to look presentable most days ;) Whether it be a top knot, a dutch braid, a half-up style, try to give your hair a break a few times a week since being blonde is already pretty damaging as it is. I didn't even know purple shampoos existed until about 6 months ago, but wow, they are absolutely life-changing! The purple in the shampoo tones out any brassiness in your hair, which is a life-saver if your hair pulls really warm like mine. I find that they also make my blonde way lighter and brighter, and help me go longer in between hair appointments. 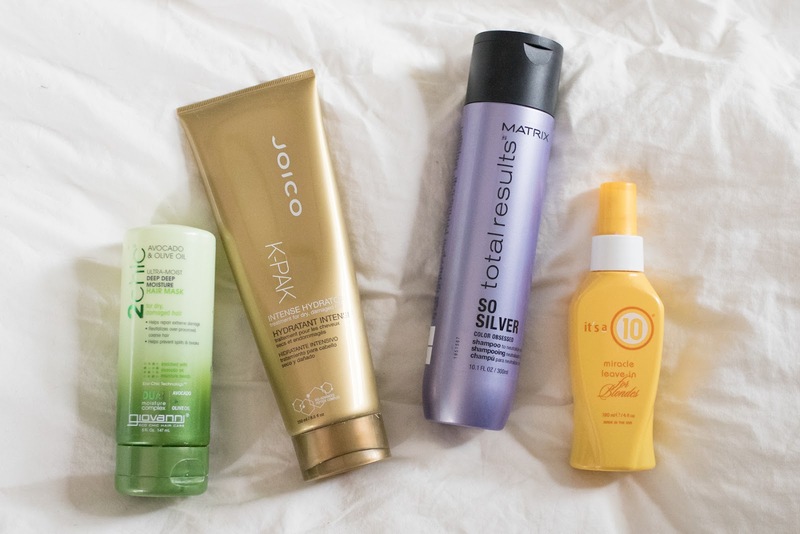 The only downside is that they're quite drying, so make sure you use really good conditioning products along with your purple shampoo (I've shared two of my favorites below), and consider alternating with regular shampoo. 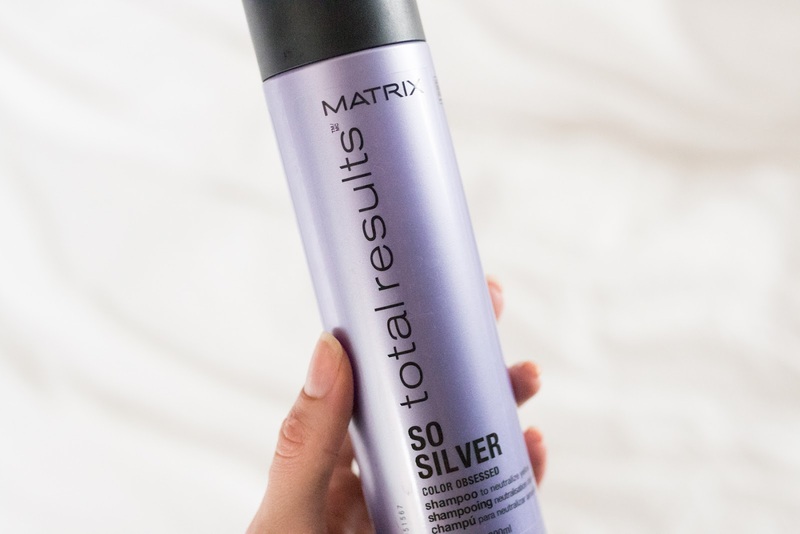 Matrix Total Results So Silver is really affordable and works so well. I've also tried this purple shampoo, and while it was also effective, I found it to be a little more drying. I am not someone who likes to spend a lot of money on my hair. I would much rather spend it on clothes, accessories and makeup! However, I've definitely realized the value of using the right, high-quality products. 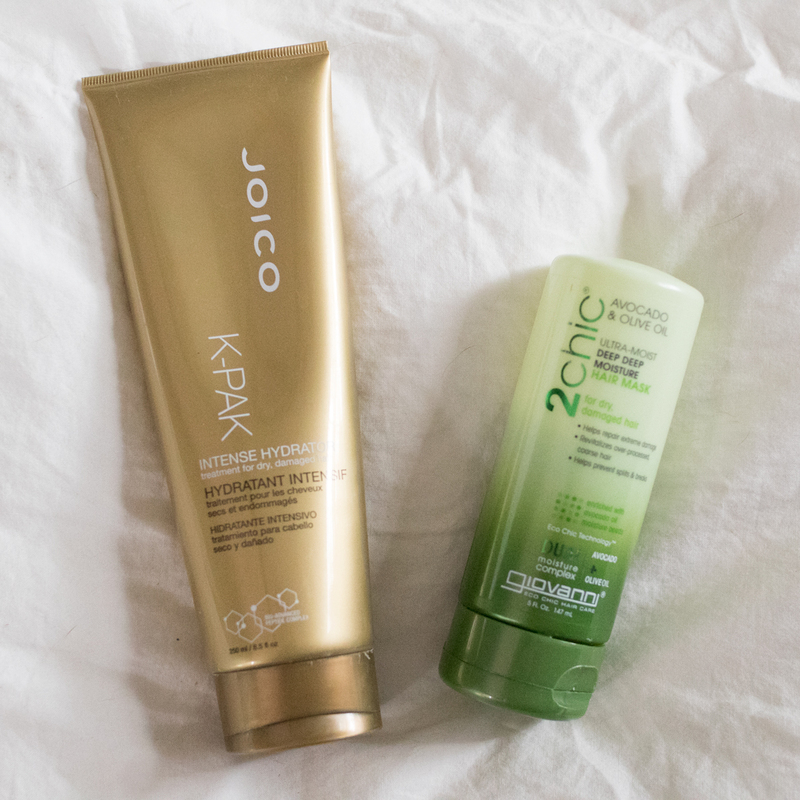 My favorite conditioning treatments that I alternate between are the Joico K-PAK Intense Hydrator, and the Giovanni Avocado & Olive Oil Deep Moisture Hair Mask. Both are lightweight but extremely hydrating, don't weigh down my baby fine hair, and last for a long time. I also like to use a leave-in spray to help protect my hair from heat and sun damage. I'm currently using It's a 10, but also love 12 Benefits. I hope you enjoyed this post! I'm actually getting my hair done this afternoon and can't wait! I always look forward to my hair appointments so much and leave feeling like a new woman. Naturally I'm trying my first-ever hot yoga class afterwards so I'm totally going to ruin how she styles my hair, but at least I'll have fresh color for our vacation (we leave tomorrow)!